There’s plenty of other reasons to install the update, even if you’re not an iPhone 7 user. 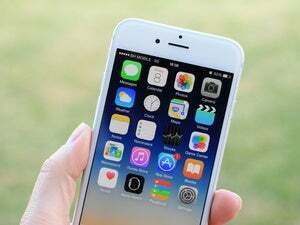 Apple on Monday released iOS 10.1, the first major update to its operating system for the iPhone. The new iOS 10.1 has the much-publicized new Portrait Camera feature for the iPhone 7. Portrait Camera produces a depth effect on photos where the subject in the foreground is in focus, while the background is blurred. Before installing the update, be sure to back up your iOS device. The iOS 10.1 update is available for installation directly on the iPhone. Launch the Settings app, the tap General > Software Update. You can also update your device by connecting it to your Mac and using the iTunes Mac app. The update is 203.7MB. The Portrait Camera is the marquee new feature in iOS 10.1 (Apple says the feature is in beta), but there’s plenty of other reasons to install the update, even if you’re not an iPhone 7 user. Here’s a partial list of what’s also in the update, according to Apple. The iOS 10.1 update also includes a long list of fixes. Read Apple’s list of what’s included in iOS 10.1. Apple also has a separate list of the security fixes in iOS 10.1.